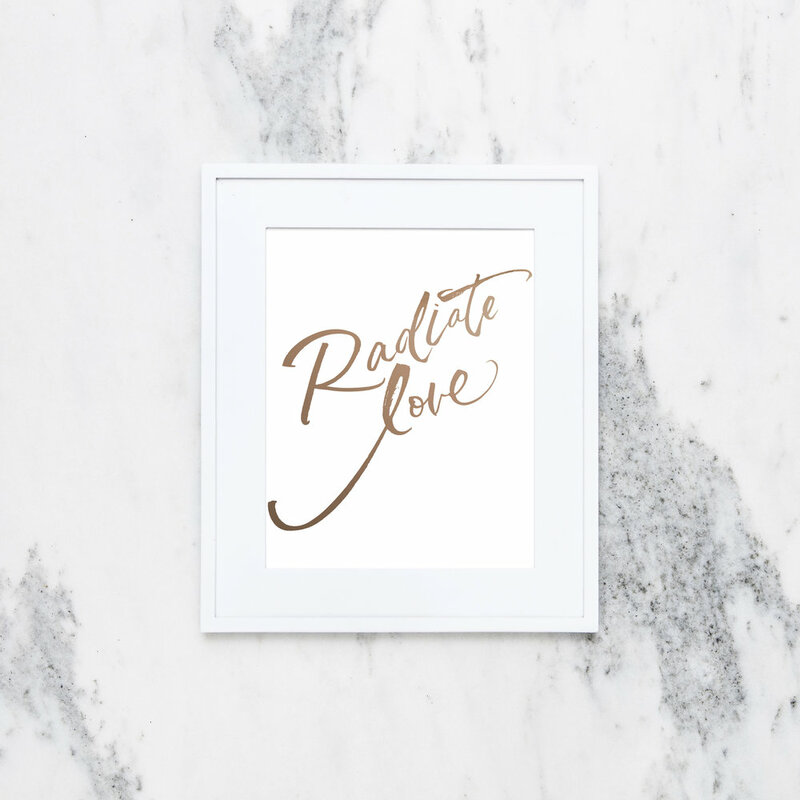 Printed using the finest traditional letterpress technique, the Radiate Love poster series is a collection of inspirational artworks to welcome into your home or work space. Welcome a Monica Beatrice poster into your home. 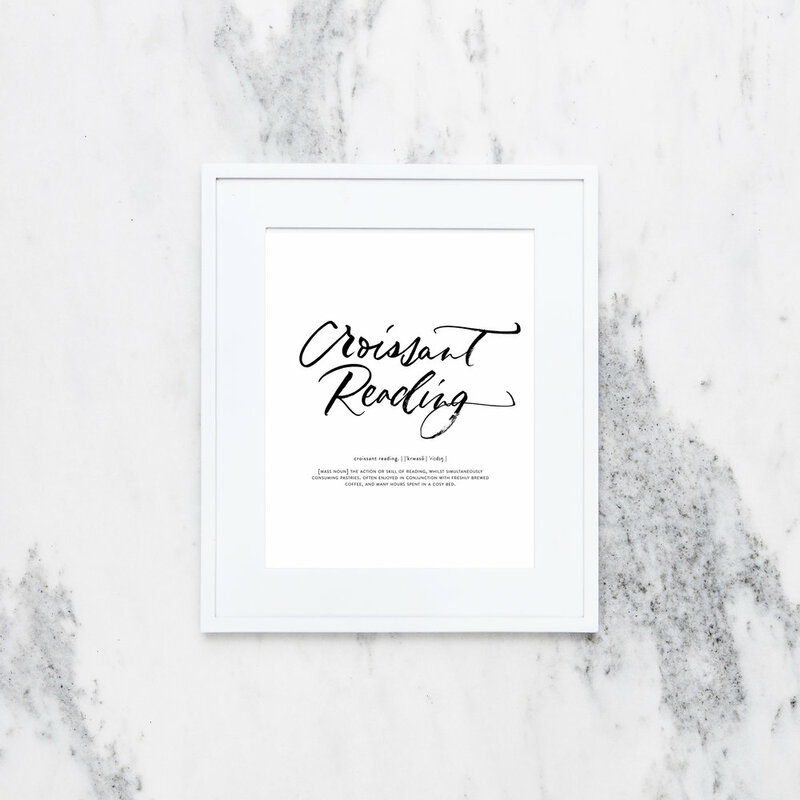 Named after the popular newsletter series of the same name, the Croissant Reading print encourages you to slow down a little and enjoy some 'Croissant Reading' of your own. It's all about those delicious lazy moments enjoyed at the weekend (or any time you can find to slot them in!). One of Monica's favourite life mantras, Go With The Flow comes from the ancient teaching of Taoism. It's all about letting go of resistance, and simply going with the flow of life. This saying has helped us no end over the years, and we hope that it provides a relaxing reminder for you too. Radiate Love is Monica's personal life motto. We are all responsible for how we show up in the world, and the energy we choose to share with others. What better energy is there than love? The rose gold colourway of this print reflects the warmth of its sentiment, and glistens enchantingly when light hits it. Sign up to receive the Croissant Reading newsletter every weekend: Monica's weekly roundup of links to enjoy at your leisure. Fun fact! This newsletter inspired our Croissant Reading poster.